If the producers of the James Bond franchise want Henry Cavill as the next 007, all they have to do is ask. 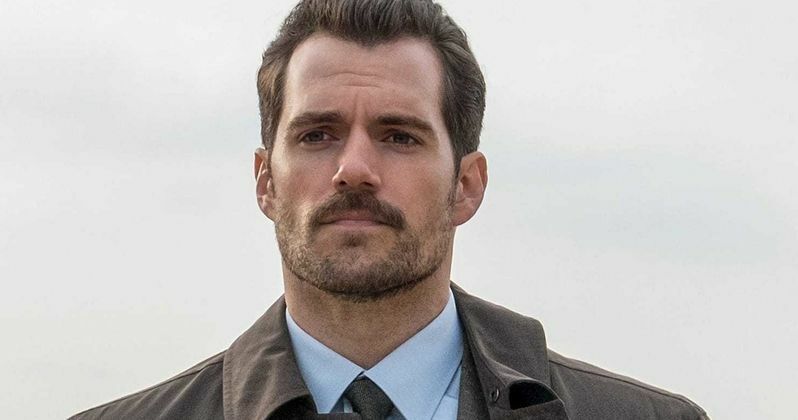 The Justice League actor has been playing Superman on screen for five years now, but he's ready for a new, more traditionally British challenge in the form of taking over for Daniel Craig once he retires, which is fast approaching. The question is, could this really happen? Henry Cavill is currently out making the press rounds for Mission: Impossible - Fallout. This isn't the first time he's been in the spy game either, having starred alongside Armie Hammer in The Man from U.N.C.L.E. During a recent interview, he was asked once again about playing the famed MI6 spy down the line and he's still very interested and even has some ideas about what he would like to bring to the role. Here's what he had to say about it. "I would love to do it of course. I think Bond would be a really fun role. It's British, it's cool. I think that now that I have my Mission: Impossible badge we can do real stunts and really amp it up as well... Not to say they weren't doing real stunts I'm just saying it would be fun for me to actually take what I've learnt on this and carry it through to a movie like Bond. I'd love to play a Brit. I don't get to play a Brit very often. So yes, I would love the opportunity and if they were to ask I would say 'yes." The Mission: Impossible movies have been known for their insane practical stunt work and this latest installment is no different. Having Tom Cruise as your mentor in that arena probably doesn't hurt anything. The more recent Bond movies have had some great action set pieces, but bringing some stunt work from the Mission franchise sounds like a solid plan. As for Henry Cavill himself, how realistic is it that he could actually be the guy following James Bond 25? As far as the classic handsome spy goes, he could pull that off no problem. He's 35-years-old right now, which is a good age to start, but he probably wouldn't be filming his first movie as 007 for at least three years, so he'd be pushing 40. Still, not necessarily too old. But the producers will want someone who can carry multiple movies and that's key. James Bond 25 begins filming later this year and will hit theaters in November 2019. It will be Daniel Craig's last go as Bond. So somebody is going to need to fill those very big shoes. Why not give Superman a crack at it? Then again, it's possible that the next actor could be a different type of Bond. There's been a lot of talk of a female version of the character and there was a lot of support for Idris Elba. So who knows? Henry Cavill fits the classic mold, but the next iteration may be far removed from that. In any event, Cavill has his answer ready, should he ever be asked. This news comes to us courtesy of Yahoo.